Do you have a baby girl and are looking for cool ways to style her hair? Gone are the days when one simply brushed a little girl’s hair and left it to flow. Today little girls are well up on fashion trends, and you can try some cute looks on your baby girl’s hair. Get inspiration from websites and specialized fashion magazines that deal with Little Girl Hairstyles. Whatever your little one’s hair is like, wavy, curly or straight, you can style her hair to give her a cute and fashionable look. Baby hair is usually soft and silky, so it looks best in natural and simple styles. It is a good idea to maintain a basic hairstyle and use hair accessories to give a special feel on a special day. If your baby girl has long hair, you can keep it open and tie a ponytail on one side. You can also part her hair on one side and pin it in place with a colorful hair clip. For a look that is natural and wild, just brush the long hair and have the front hair strands cut in soft bangs. For medium length hair reaching the shoulders, simply brushing the hair looks great. The point of any hairstyle is that your little one should be free to play and enjoy without the hair falling over her face. So, using hair clips or a colorful hairband is a good idea. You can also style your little girl’s hair very short to keep it simple and neat. If your little girl loves being outdoors a lot, a short-cropped hairstyle is easy to manage and looks fun. For baby Afro girls, natural hairstyles give a traditional look to thick textured black hair. Dreadlocks and tiny ponytails on top of the head give a cute expression to a small Afro girl. Basic pigtails, side ponytails and deep front bangs are all simple and attractive hairstyles for little girls. If you liked our selection, perhaps these other posts will interest you too, Lisa Rinna Hairstyles, Wedding Hairstyles With Veil, Chocolate Brown Hair Color and African American Natural Hairstyles. Some of the long hair has been tied to make a cute side ponytail. A glamorous look for this little girl. Soft dark brown waves frame the petite features in this flowy hairstyle for a little girl. The deep fringe comes down to the forehead in this side ponytail baby girl hairstyle. The two long side ponytails are decorated with pretty pink rose accessories. Baby soft curls cluster over the forehead, giving a fresh and sunny look to this little one. Long wavy hair is brushed and left to flow down the shoulders in this little girl hairstyle. The pretty black tresses are pinned with a red hair accessory. A soft little girl hairstyle. This short hairstyle with front bangs works great on thick and wavy hair. Straight auburn hair is parted on one side in this clean and short hairstyle. Artificially crimped hair dangles down the shoulders. This is little girl hair fashion at its glamorous best. A thick fringe covers the forehead in this naturally long hairstyle for a little girl. This gorgeous natural hairstyle for Afro curls suits a baby girl. A hairclip keeps the wild curls in place. In this bright Afro hairstyle, the natural hair has been tied into a back bun. A yellow ribbon adds a touch of color. Hair strands are pulled back from the forehead and tied with rubber bands. A great way to manage long hair. Gorgeous soft locks touch the shoulders in this neat hairstyle for a young girl. The two side ponytails add a fun touch to the blunt haircut. Shallow front bangs complete the look. Soft auburn waves dance around the face in this side parted little girl hairstyle. A bun rests at the nape in this sweet and formal hairstyle for a little girl. The hair has been pinned to keep it in place. Tiny dreadlocks at the back make an exciting combination with the puffy ponytails. A glam Afro look for this baby girl. The black hair has been side parted and kept in place with a pretty bow accessory. The soft straight hair has been brushed to cover the forehead. A great outdoors hairstyle for an active little girl. Tiny pigtails dangle below the chin in this little country girl hairstyle. The shallow front bangs look cute. The side parted tresses are managed with a hairclip in this sweet and neat hairstyle for little girls. Black hair reaches the level of the ears while the fringe in front adds a fun look. Wavy auburn baby hair has been put up into a cute ponytail on the top of the head. Wavy ponytails dance on both sides of the face in this super adorable baby girl hairstyle. This side parted hairstyle for auburn locks goes well with a pretty hairclip. A deep fringe covers the forehead in this shoulder length hairstyle for a little girl. The waves have been brushed till they shine like gold. The hair has been side parted and left open. Smooth and soft baby hair is shaped in a blunt cut. This hairstyle is easy to manage and super fun. 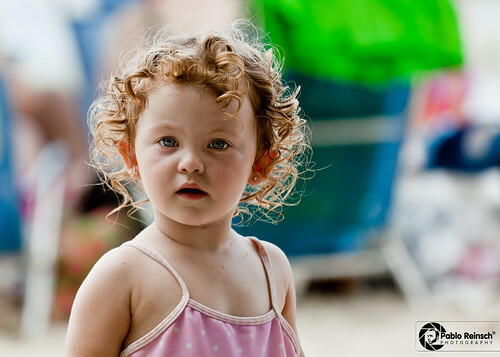 The pale golden curls of this little girl are dressed in an updo. Tiny ringlets dance on the side of the face. The hair is styled in a rounded blunt cut reaching the shoulders. Deep bangs covering the forehead add more cuteness. Smooth fringes cover the forehead while two pretty pink flowers make magic above the ears. A natural hairstyle for a little girl. Dreadlocks hang over the forehead in this traditional Afro hairstyle for a little girl. Wild black hair frames the sides of the face in this fun hairstyle for a small tomboy. The hair is pinned on one side, giving a neat look to the straight hair of this little girl.